If the weather’s right, get hiking and forget the drought | Who Da Thunk? When there’s no rain and temps are in the high 60s, getting out of doors is first activity of choice. So today the Adventurers headed for a hike at Arastradero Preserve with D’s sister Kathleen. 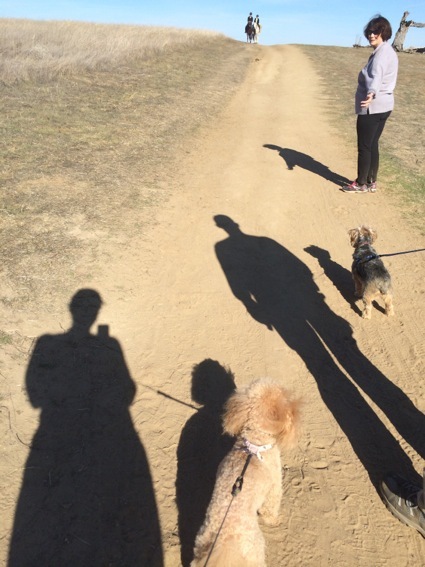 This entry was posted in Bay Area hikes, Dog friendly hikes, Family and tagged Arastradero Open Space preserve. Bookmark the permalink.